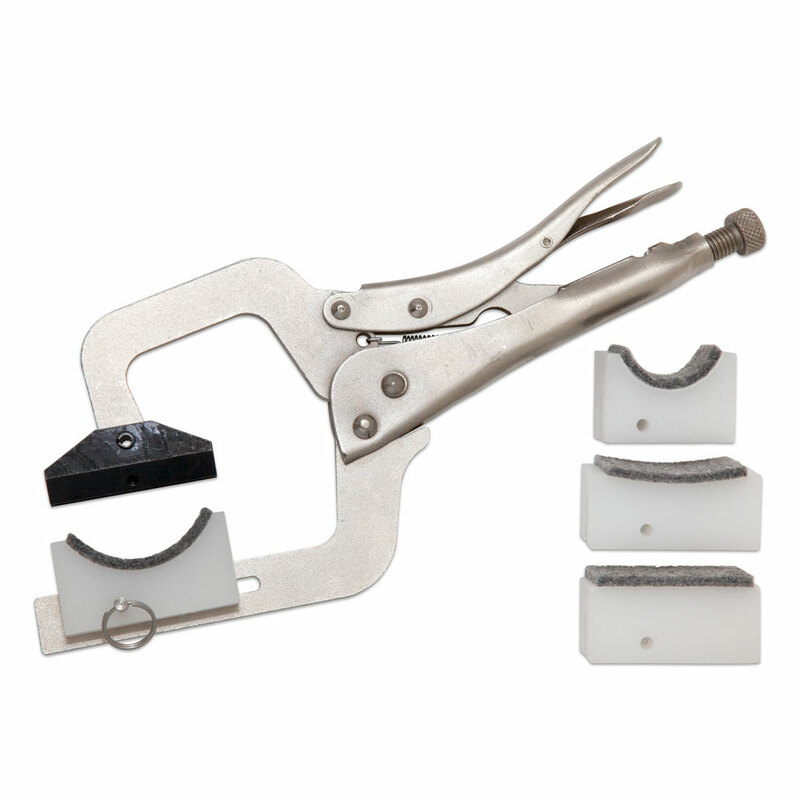 The Handheld Fret Press Clamp gives you a flexible and mobile fretting solution, it comes with four padded neck support cauls to suit a variety of necks and are secured using the quick release pin for fast, easy changes, the neck support cauls slide along the bottom jaw to position the neck correctly. The top jaw caul self centres and uses the same radius inserts we sell for our fret press arbor caul, they are fixed in the caul via the grub screw. There is a tension adjustment screw and the handle locks in place once clamped allowing you to use the press for gluing frets in place as well as pressing.